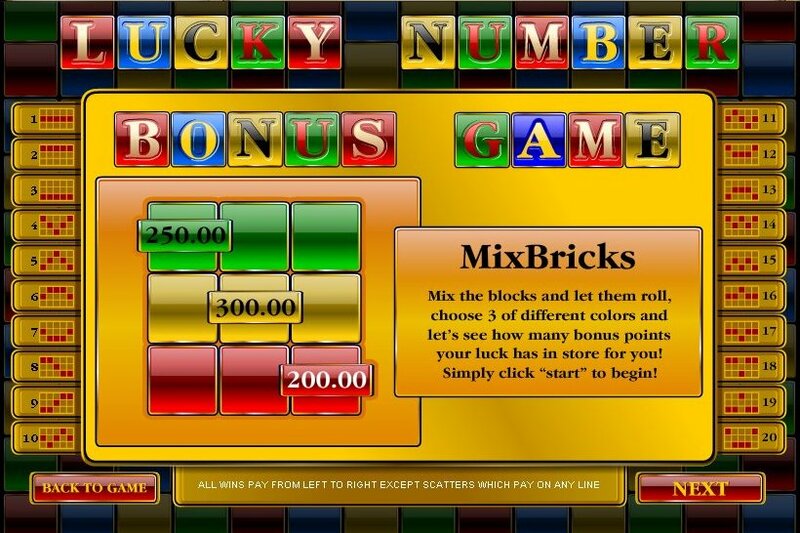 Overview: Play Lucky Number 20 Lines video slot game for a trip back in time to the days of building towers with building blocks! 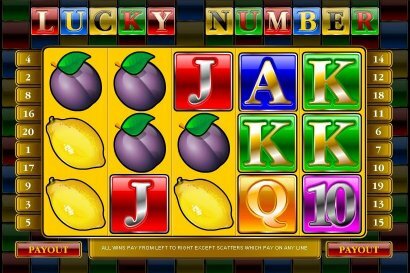 Line up 5 Red Sevens to win 600 coins, 5 Blue A's earn 300 coins; hit a 5 or more Wild Cherry combination and you will win the JACKPOT! 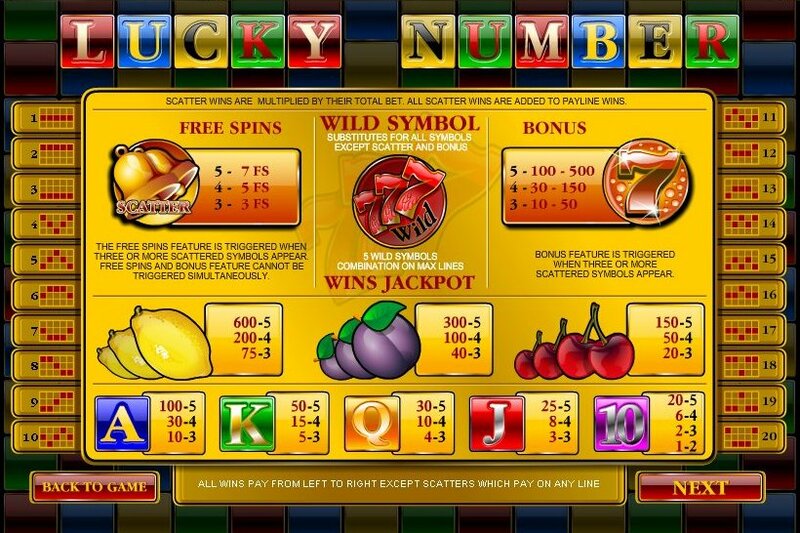 Similar Slots: If you like Lucky Number, you might like these other slot machines from Top Game: Bingo Slot (25 lines), Daytona Gold, Lost Gems of Brussels, Voyager's Quest, Wild Sevens.